What is a mindset? And more specifically, what's a Growth Mindset? 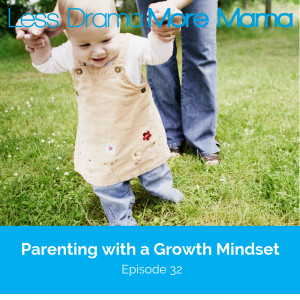 In today's episode, I explain exactly what a Growth Mindset is, how it can help you as a parent, and how to cultivate it in your life. The difference between a Fixed Mindset and a Growth Mindset. Why the brain naturally leans toward a Fixed Mindset. How overcoming obstacles and making mistakes helps to grow and strengthen the brain. Why we should strive to approach our parenting challenges with a Growth Mindset.